Nature and its perfect shapes were the inspiration for this picture frame. 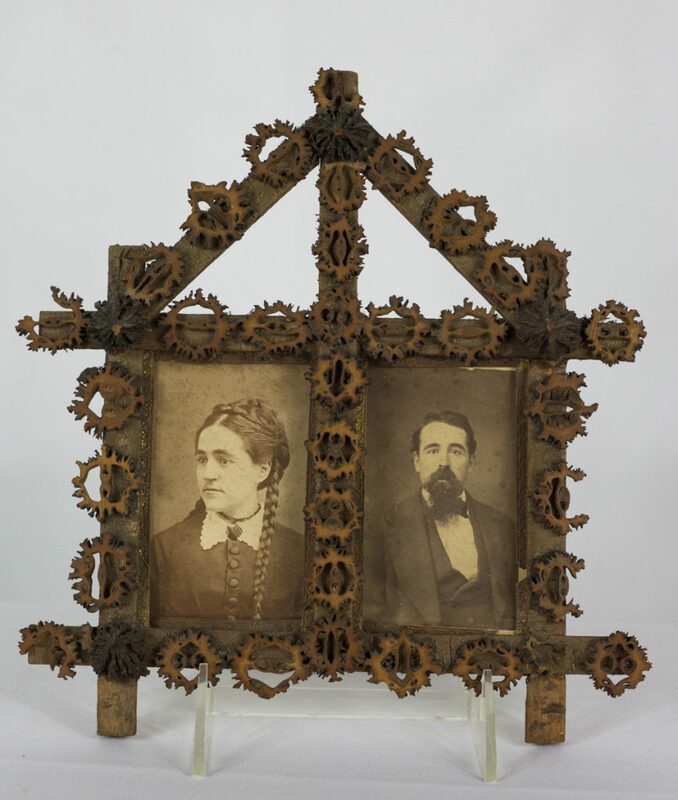 Given by a mother to her son, this piece has the portraits of two brothers side by side. In a house-shaped wooden structure, the curious ornaments were made of sliced nut shells glued to the wood frame. The nutshells were probably collected from the trees of the family yard. 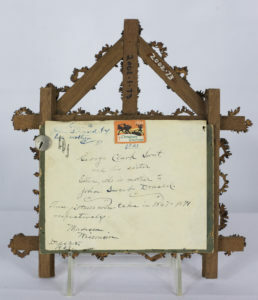 This object has hand written notes on the back, telling about the history of the photographs, names, and dates in a way to preserve family heritage trough daily life objects.